Plan to bring a lunch or you can eat at one of several eateries in Parkville. We will be making an Open Wide Pouch By Annie. The pattern makes three different sizes of bags. You may choose to make whichever size you desire, however, keep in mind that the large bag takes more time. You will have more time to assemble the bag if you quilt the outer shell of the bag ahead of time. Materials needed: follow the pattern guidelines for the size you choose to make. If you want to add the optional mesh pocket, you will need to bind the top edges. You can use fold over elastic, or you can bind with quilting cotton, either matching or contrast to your bag. You will need Soft and Stable or Bosal foam stabilizer. Pellon also makes a similar product. The foam is sandwiched between the main fabric and the lining fabric and quilted to give the bag structure. You will also need general sewing supplies such as a sewing machine with a zipper foot and a walking foot, thread to coordinate (there is quilting and top stitching), snips, rotary cutter, scissors, pins , seam ripper etc. 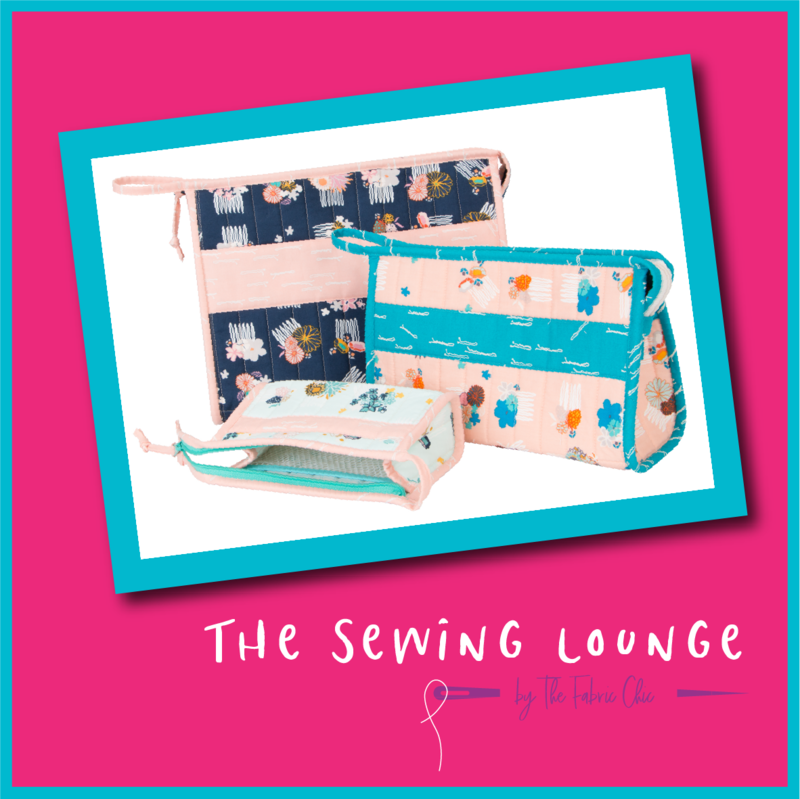 You will need a marking pen that shows up on your fabric ( a dark pen for light fabric and vice versa, so you may need both) If you prefer to finish the binding by hand, you will need a hand sewing needle and a thimble. You will need a ruler at least 12” long. A 5” x 14” ruler is a handy size. Requirements: Open Wide Bag Pattern, All bag materials outlined in pattern, fabric cut and fused before class. A more detailed class supply list will be emailed to all attendees.